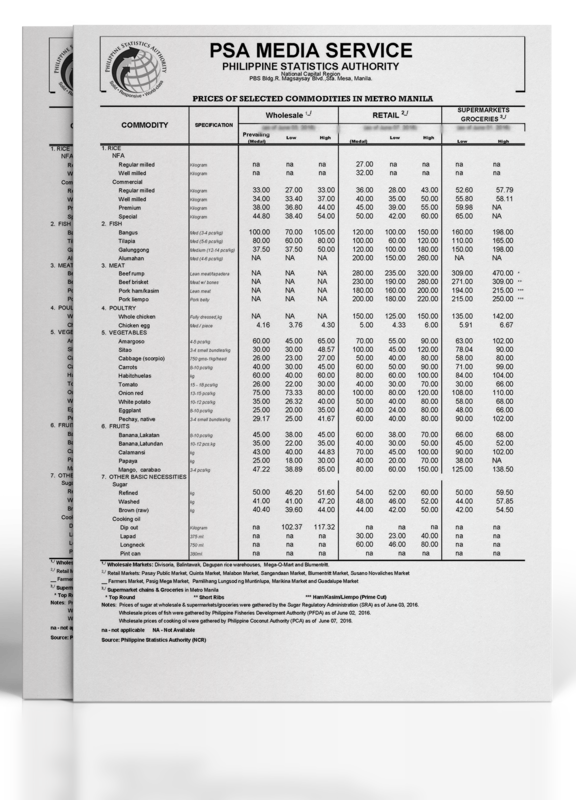 This price bulletin presents prices of selected commodities monitored in 5 wholesale markets, 11 wet markets and supermarket. Data on wholesale prices are collected 2 times a week, while those on retail price are collected 3 times a week. The Philippine Coconut Authority (PCA) is the source of data on wholesale prices of cooking oil while it is Sugar Regulatory Administration (SRA) for the data on wholesale prices of sugar.